Google Home Review: How Does Alexa Stack Up? I got my Google home device today! I have an Echo, plus an Echo dot, so I am pretty set for a home assistant, but I love the Google ecosystem so I had to try it. Setup was pretty easy. If you have a Google Chromecast then you have the app you need. You just turn it on, open the app, connect to wifi, and it will guide you through the rest of the steps. Took only a few minutes. Inside the app, the integrations are Smartthings, Nest (thermostat) and Hue. You can also use IFTTT to do integrations to unlock a lot more potential. 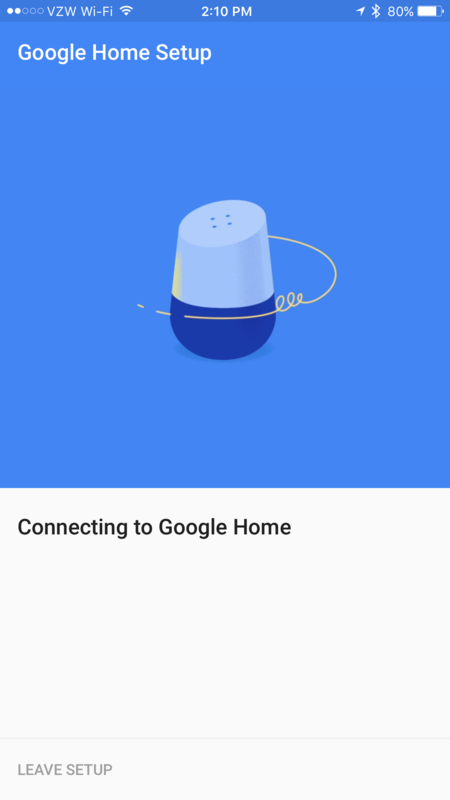 I saw that there were some things connected in my SmartThings that didn’t show up in the Google Home import, like my door locks and my garage door openers. I’d like to see integration through the app with Sonos, as well as LIFX, but I am sure those will be in the pipeline soon! The first thing I noticed was that Google has a much clearer and natural voice. She also is more conversational. When you give a command for a light to Alexa, you get an “Okay”. With Google it was “Sure, turning on 2 lights”. One thing I checked was the Weather. I asked what the temperature was. Google gave me a straight answer… Alexa gave me a long answer including a bunch of details I didn’t care about. I’m sure there are fine tuned ways.. Just comparing a typical question. As for Music…. You can hook your Google device to Pandora, Google Play Music, YouTube Red or Spotify. When I tried to request the same song on both, Google went right to Spotify, but Alexa, even though I have Spotify linked, tried to push their new music service. One important thing is sensitivity of the microphone of the devices. I stood far away and in another room trying to test out the mic sensitivity. I didn’t talk excessively loud, but this does basically say for optimal success, maybe a device in your main bedroom or office in addition to a common area is a good call. Though the Echo dot is only $50 compared to buying multiple Google Home’s at $100 +. During my distance test, I found Echo and Google to respond/not respond at roughly the same loudness/distance to my voice. No clear winner here. ← Android Guys Goes iPhone… Does he go Back?